Clemens Riehle is a familiar name on this site, perhaps because it is the name of the editor’s g-g-grandfather and Immigrant-Ancestor. However there is another Immigrant Ancestor by that name who was the son of the half-brother to both the elder Clemens and Martin Riehle. 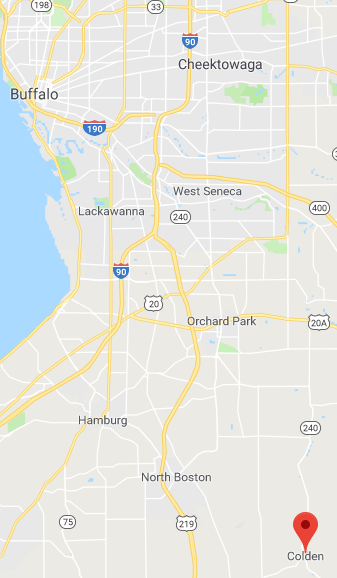 Like Martin, he settle south of Buffalo in Western NY State. As of the 1905 census Clemens was living in Colden, NY along with Christina and the three younger of their four children, Helen having married Hiram James Banker in 1904. Clemens occupation was listed as “hotel keeper” as of that date. He died on February 18, 1926, in Colden at the age of 74 and was buried at St Peter & Paul’s cemetery in Hamburg near the grave of his uncle, Martin Riehle. 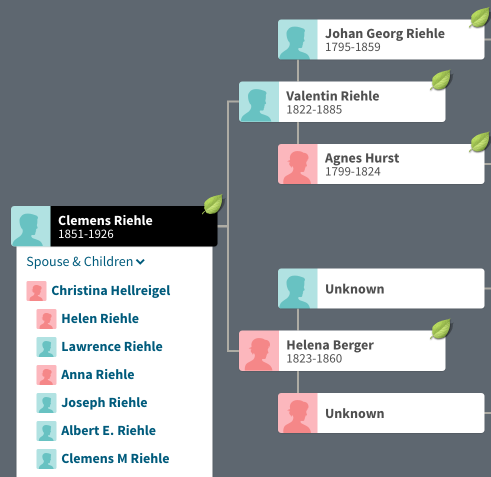 Below shows Clemens Riehle’s immediate ancestry and lists his spouse and children. See ancestry of his uncles Martin and Clemens for the ancestry of Johan Georg Riehle.